Vol 1, No. 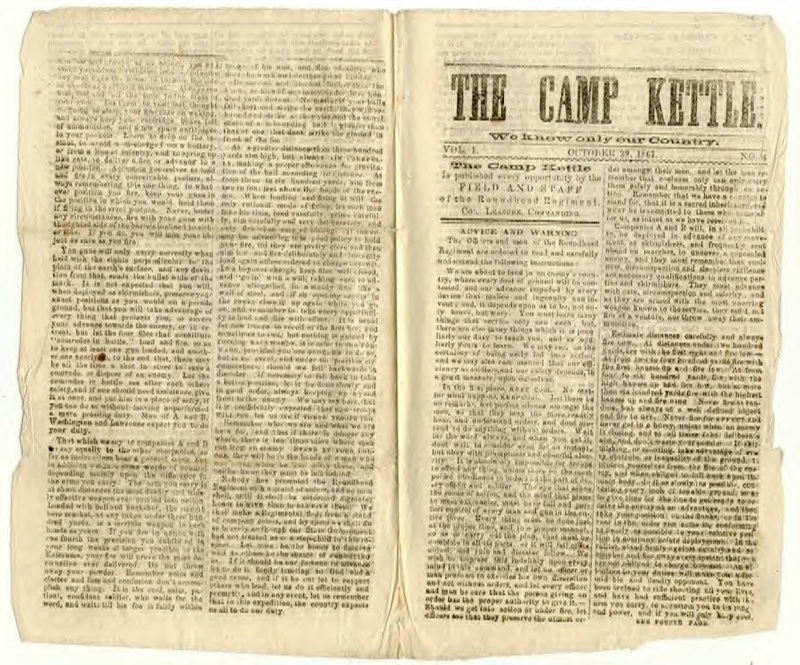 4, October 29, 1861, "The Camp Kettle" Regimental Newspaper of the 100th Regt. 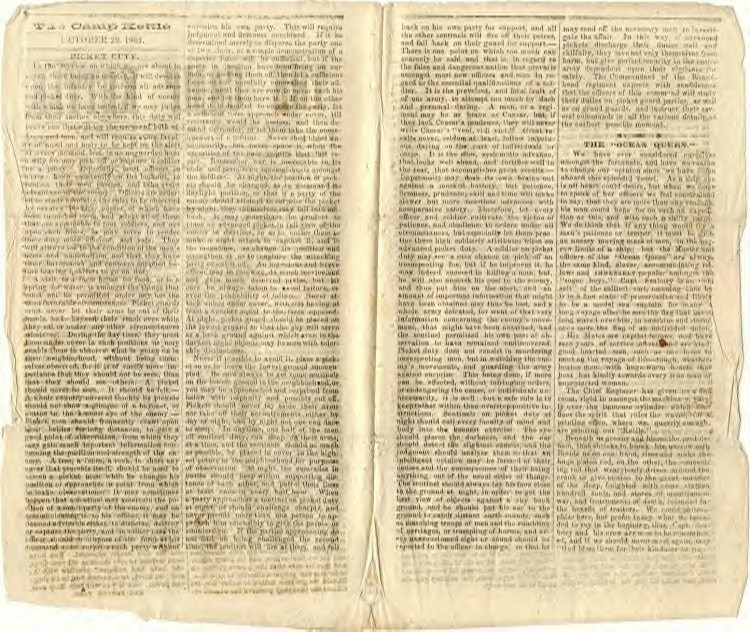 Pennsylvania Volunteer Infantry, "Roundheads"
Please contact the Websmith to claim rightful ownership of this artifact and be referenced here.